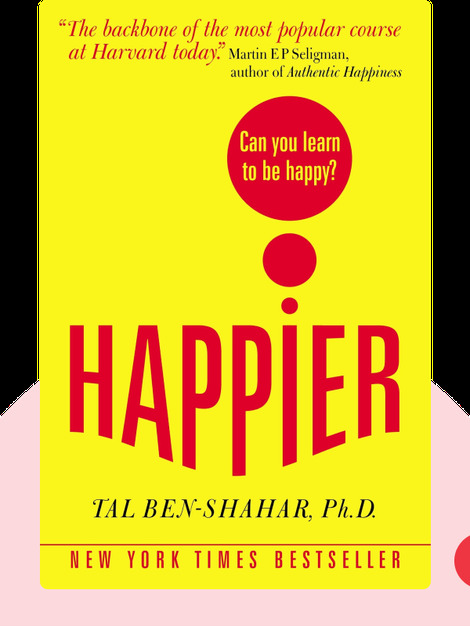 Happier by Tal Ben-Shahar, Ph.D.
Happier (2008) is a guide to living a more meaningful and pleasurable existence. These blinks will challenge you to identify what matters most to you and to reflect on how you can make that a bigger part of your life. Tal Ben-Shahar is an American and Israeli writer and university lecturer. His courses in Positive Psychology and The Psychology of Leadership were the most popular in the history of Harvard University. 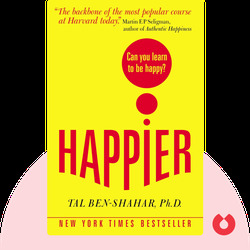 Among other books, he’s also the author of Being Happy: You Don't Have to Be Perfect to Lead a Richer, Happier Life.